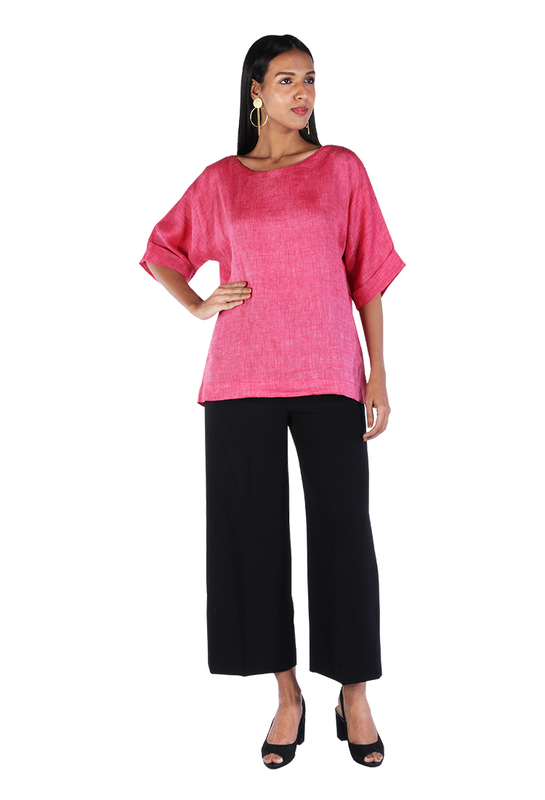 Showcase your fashion-forward style in this oversized relaxed silhouette. 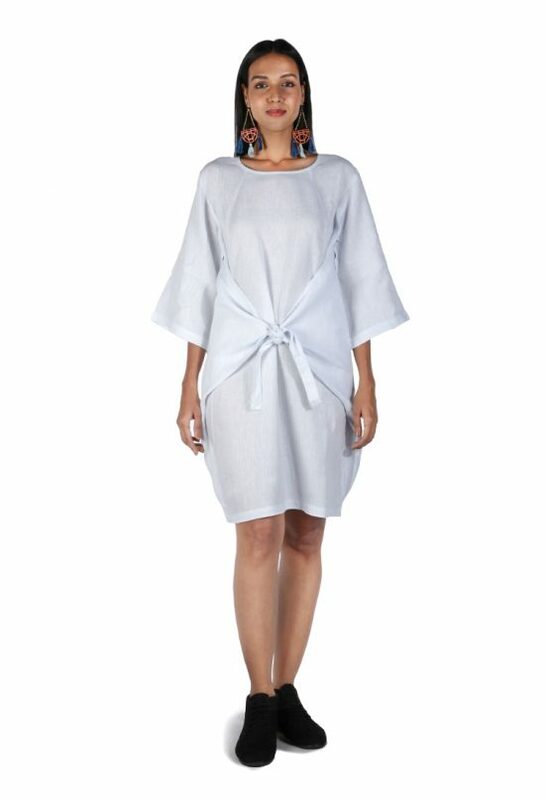 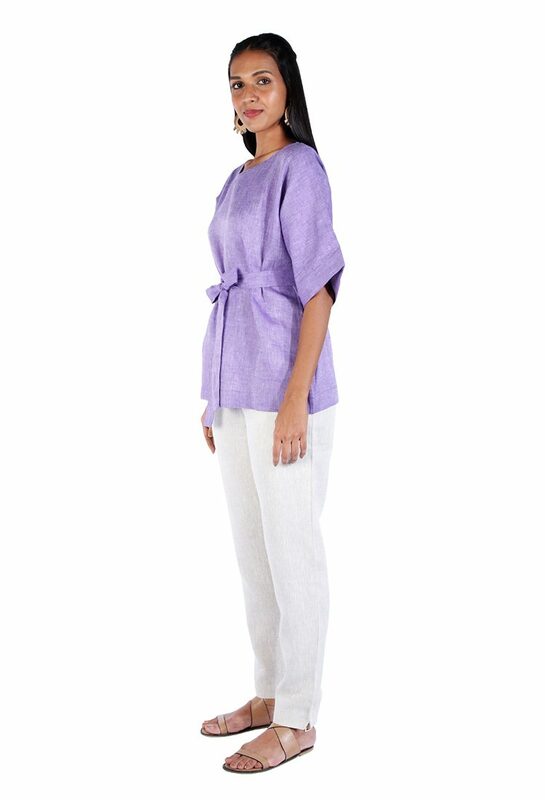 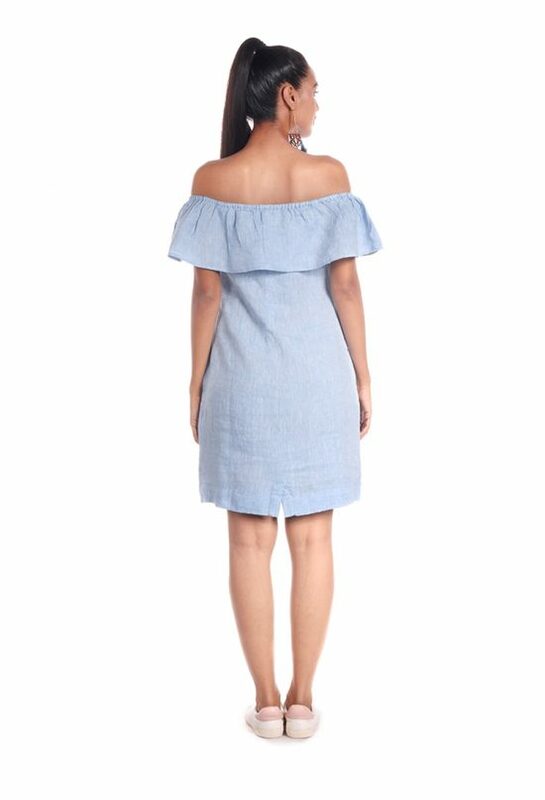 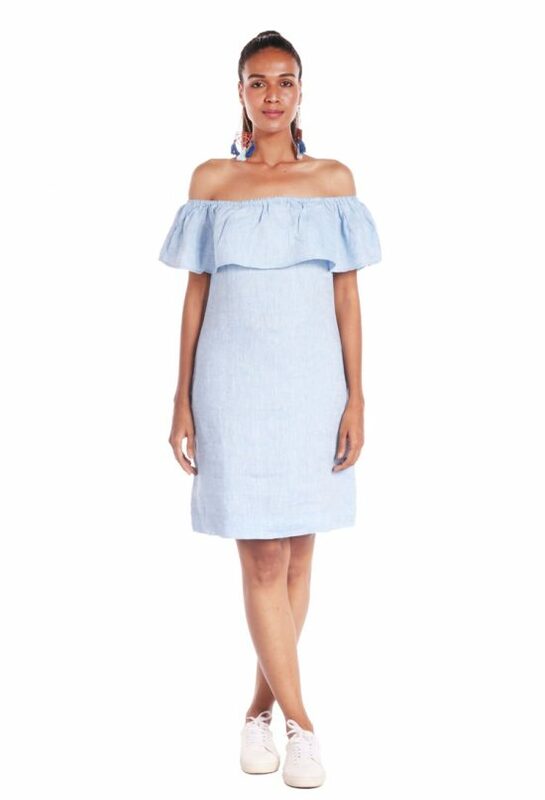 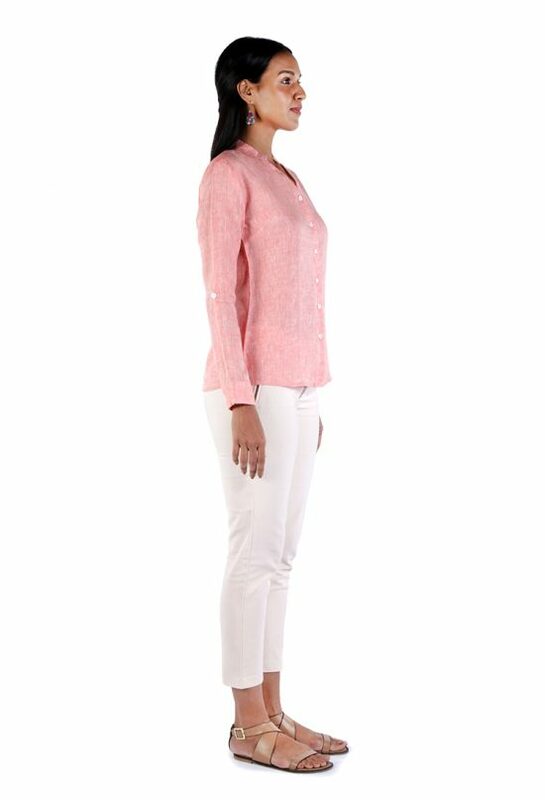 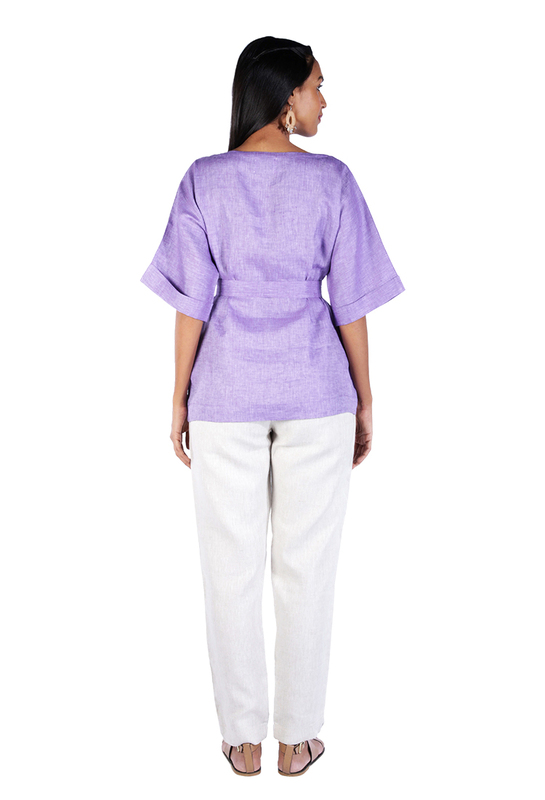 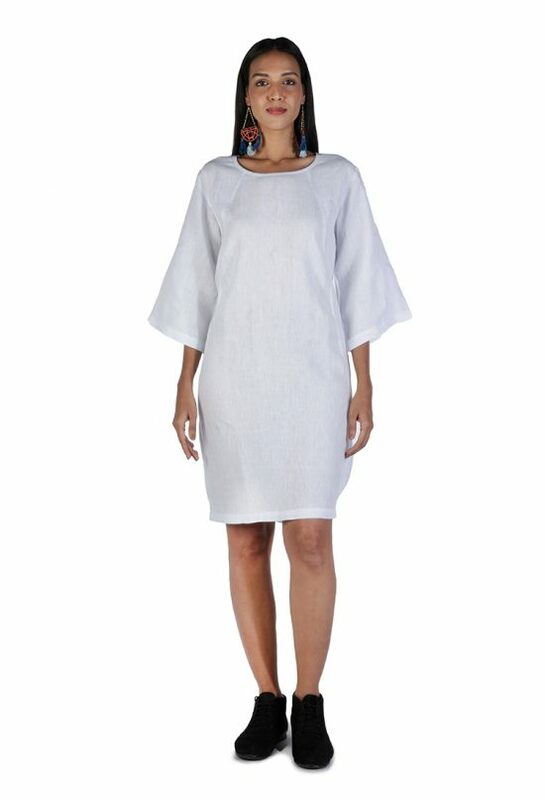 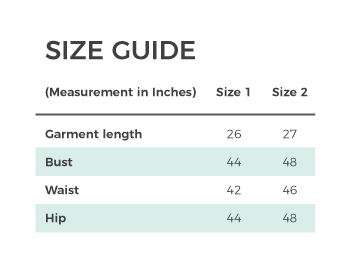 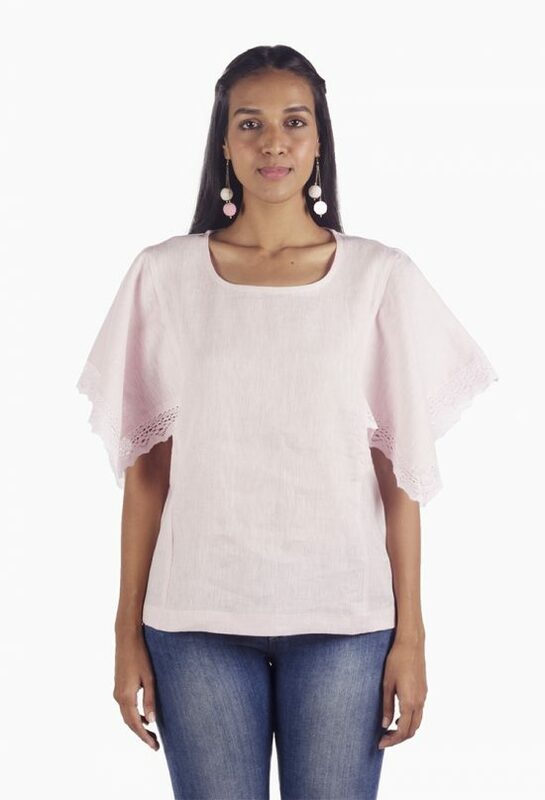 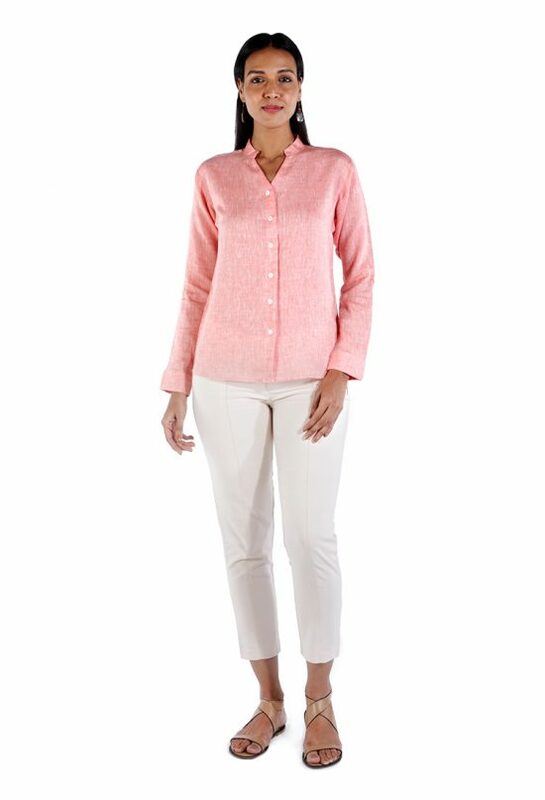 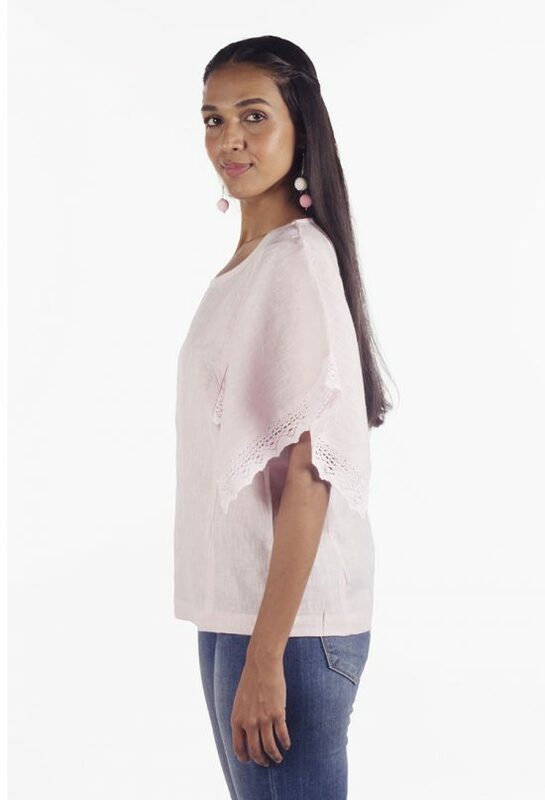 Featuring a subtle V neckline and wide kimono style sleeves, this linen top can be cinched at the waist for a more fitted look. 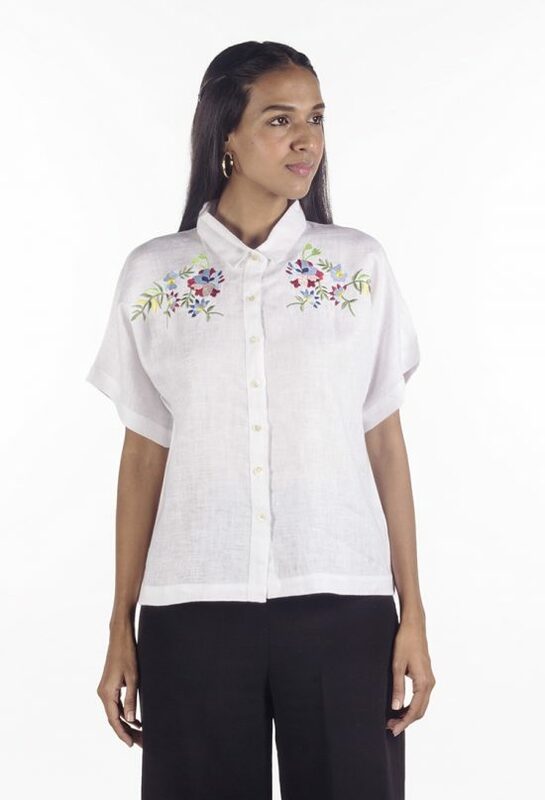 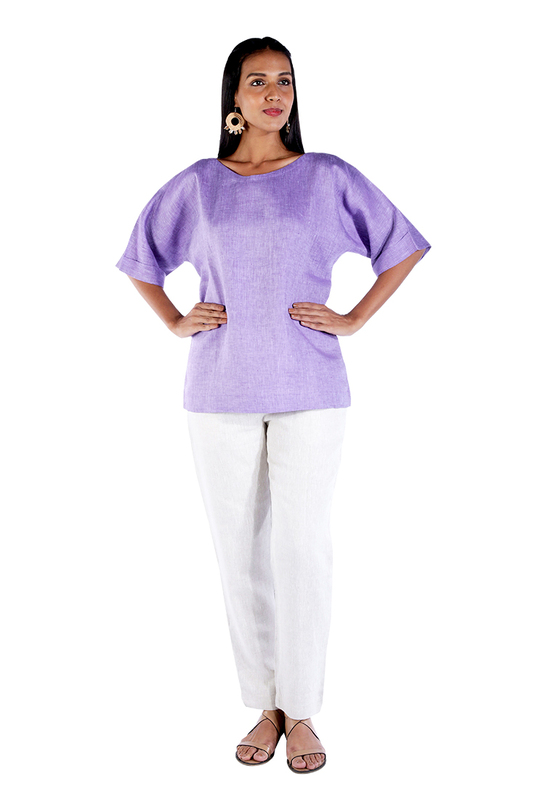 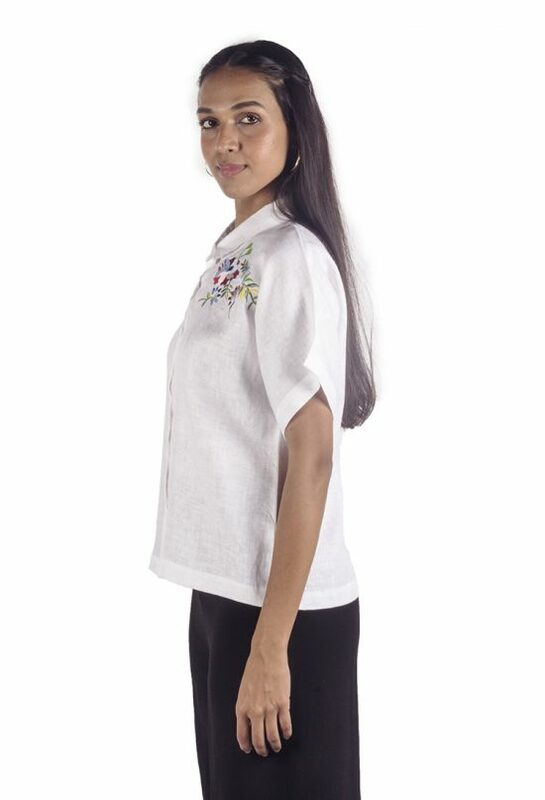 This timeless linen antifit top is an absolute eye-catcher. 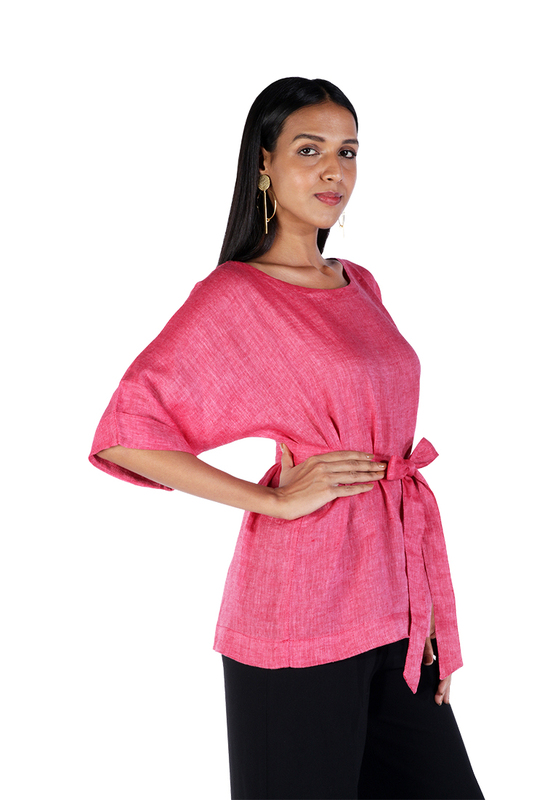 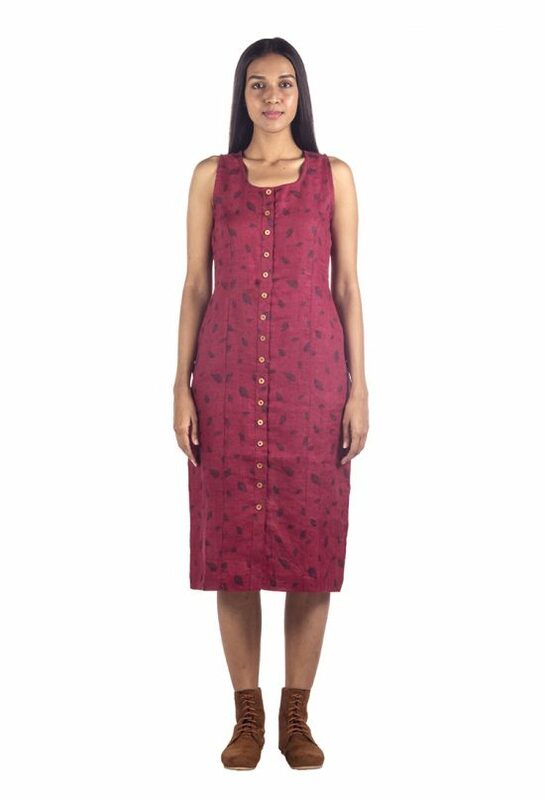 This effortless design comes with a belt of the same fabric. 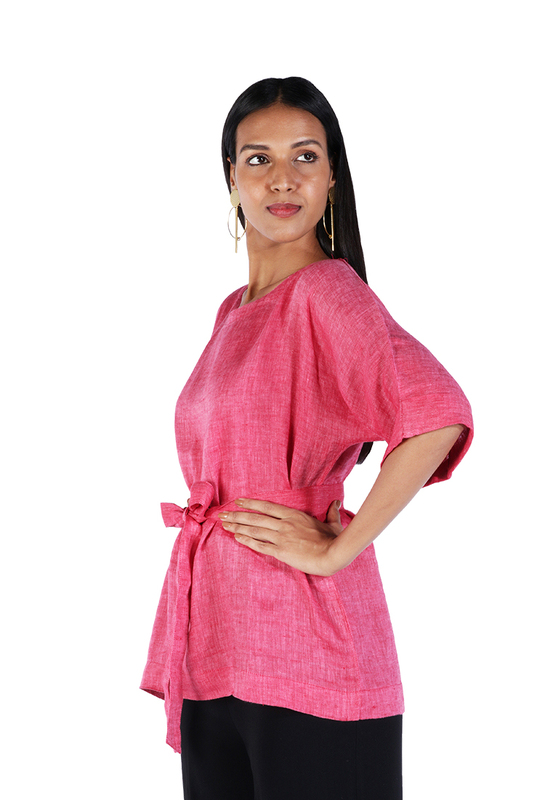 Style the belt with a bow or those who like it loose can simply remove the belt. 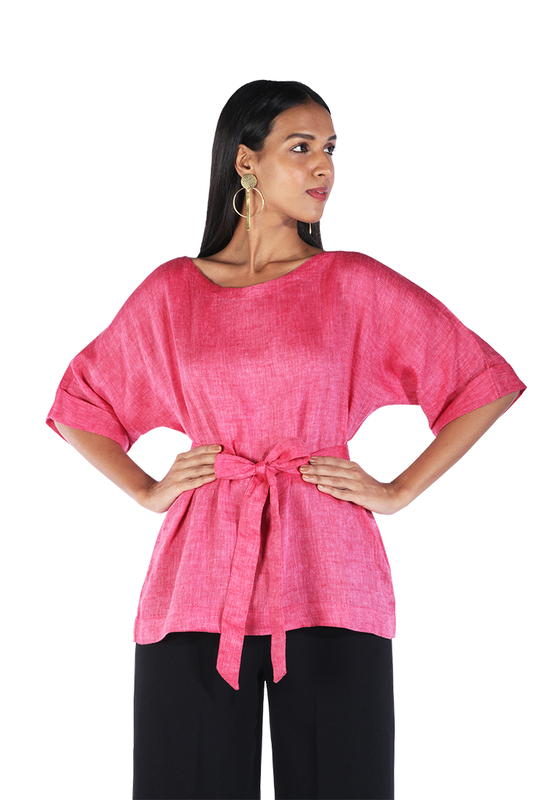 Style this beautiful top with jeans or shorts for a casual look or wear it with skinnies for a chic office look.